This is a very attractive estate ring, masterfully crafted in 18K solid gold, and featuring a sophisticated design. 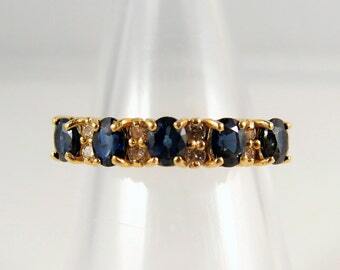 The Retro design consists in a cathedral set old European cut diamond, with perfect clarity, and measuring ~2.5mm across. 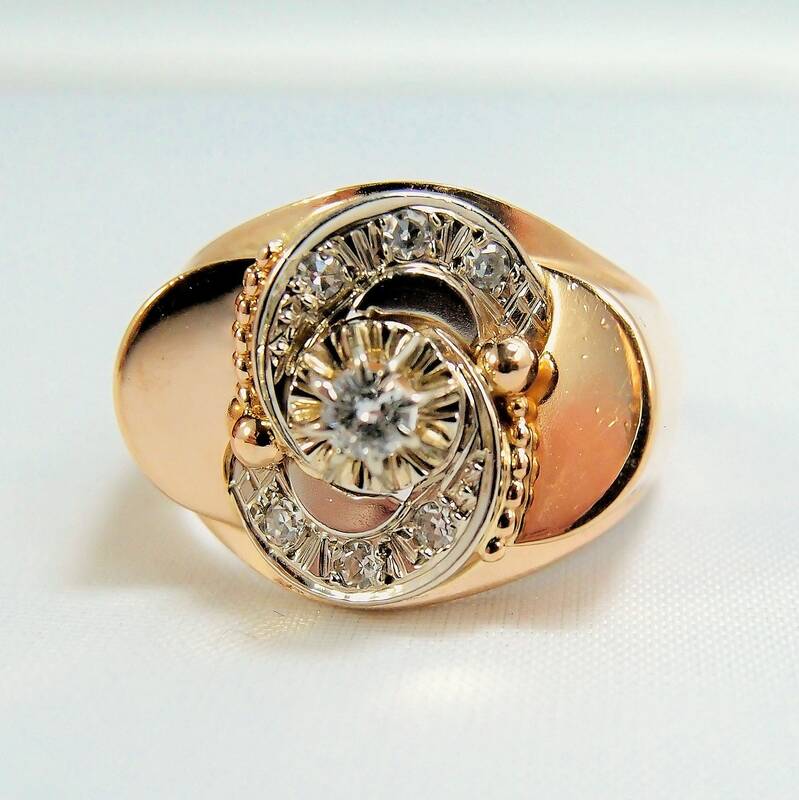 The diamond is framed by two curving lines of diamonds which swirl around the center larger gem. Each diamond is set with four prongs and measures approximately 1.5mm. They are perfectly matched and of premium quality as well. 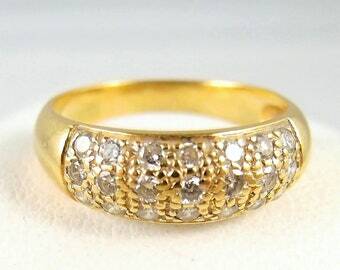 All the diamonds are set on a white gold base with produces a beautiful contrast with the bright yellow 18-carat gold for the rest of the ring. In addition to the diamond design, beaded decorations are flanked on each side of the swirling construct, before ushering a concave and protective shank. 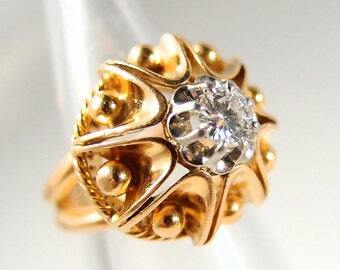 This ring is dated to the 1950s, a period with great experiment in form. The fascinating swirling design gives you a feeling of infinity. 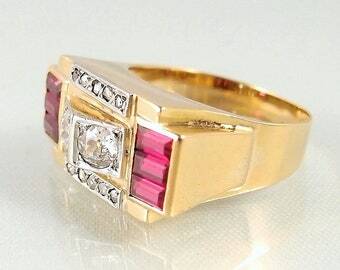 The ring is fully hallmarked and in perfect condition. Any white or cloudy spots on the images are glare and/or photographic obstructions.